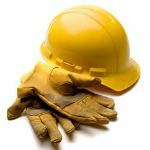 Health and Safety is a non-negotiable part of our working landscape. With fines for breaches of the health and safety in employment act on the rise it is vital that organisations of all sizes ensure that their staff have a firm understanding of the principles of good health and safety management. Increasingly the emphasis is not on what an organisations policies and procedures are on paper, but what their staff understand about them and how they put them into practice. This course is designed for staff at all levels and will be tailored to suit the industry they are working in. Course participants will learn about the key sections of the health and safety in employment act and how that relates to their workplaces. They will learn about the principles of hazard management, employee participation and the importance of accident reporting and investigation.